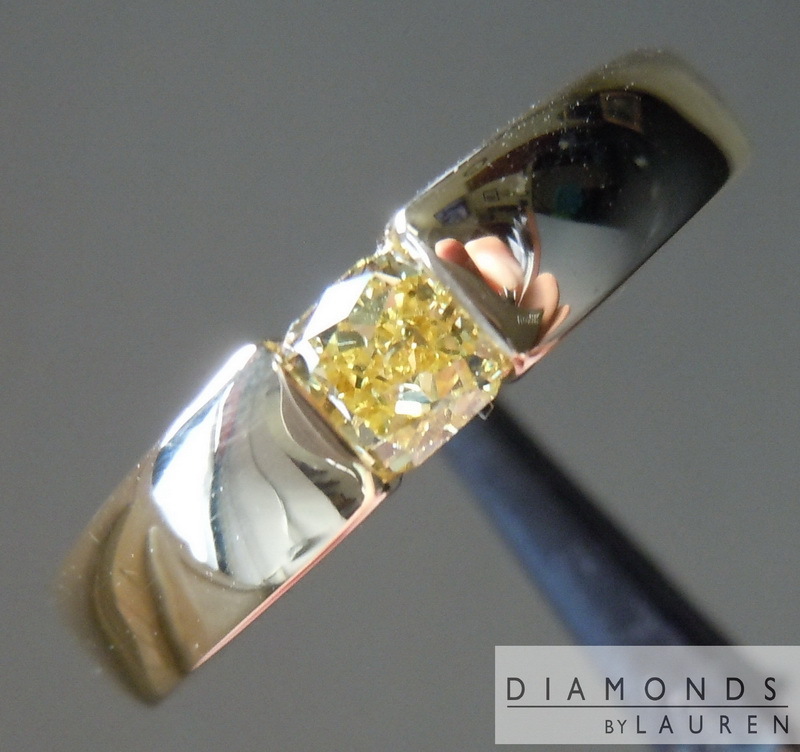 This is one of our most popular designs for a gent's single diamond band - and rightfully so. 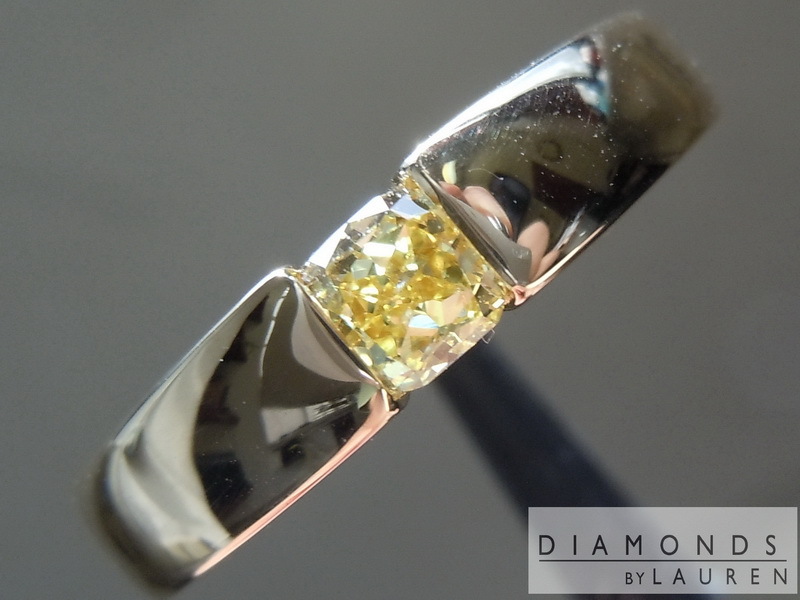 It looks great on the hand and is comfortable to wear. 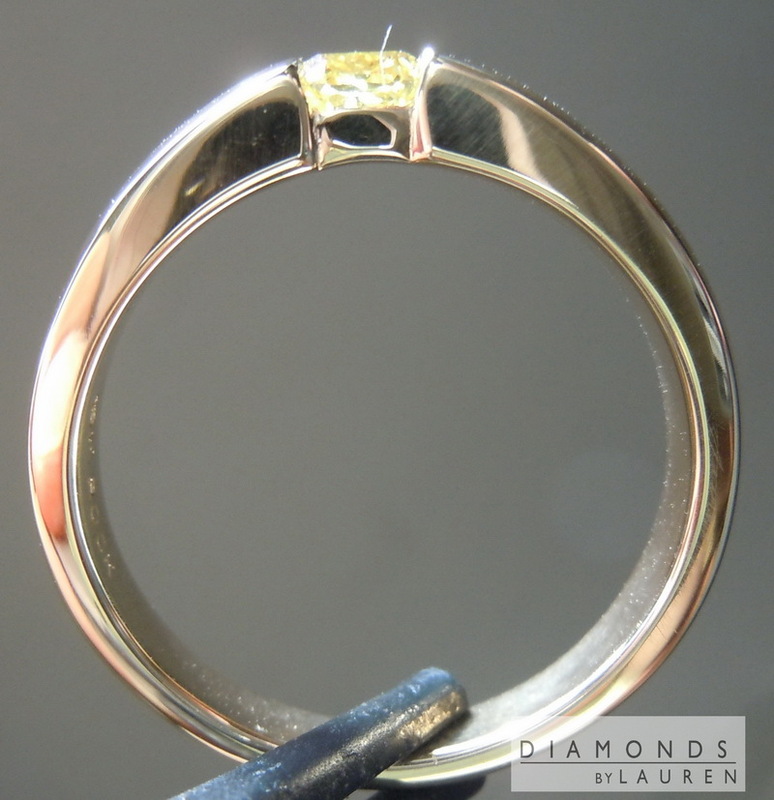 Made in 18K yellow gold, the ring is solid - no hollowing out of bands for us. 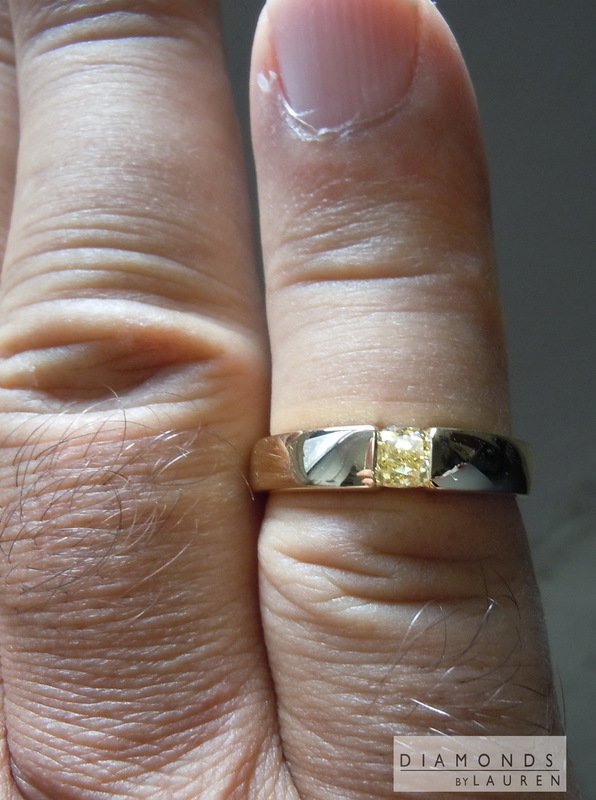 The ring is beautifully finished. Truly a great value on this one. 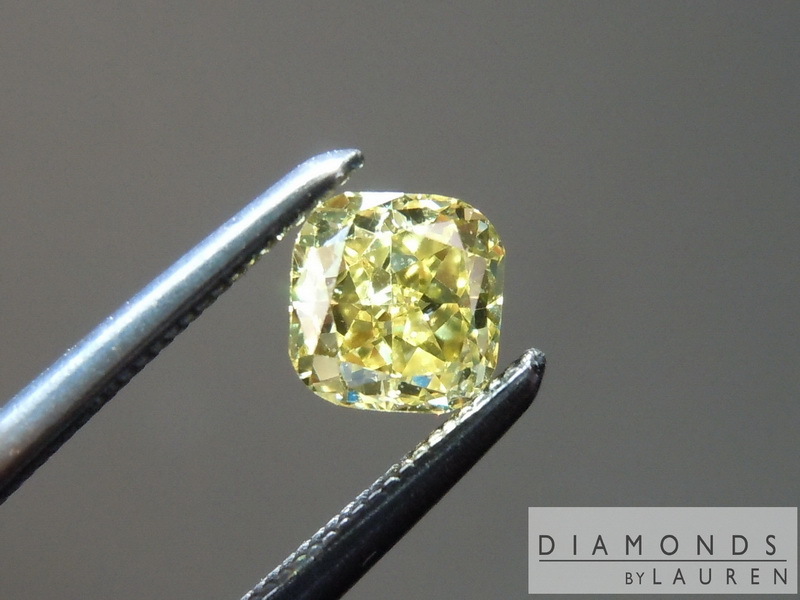 On a different day, this diamond might have been graded Fancy Vivid Yellow by GIA. 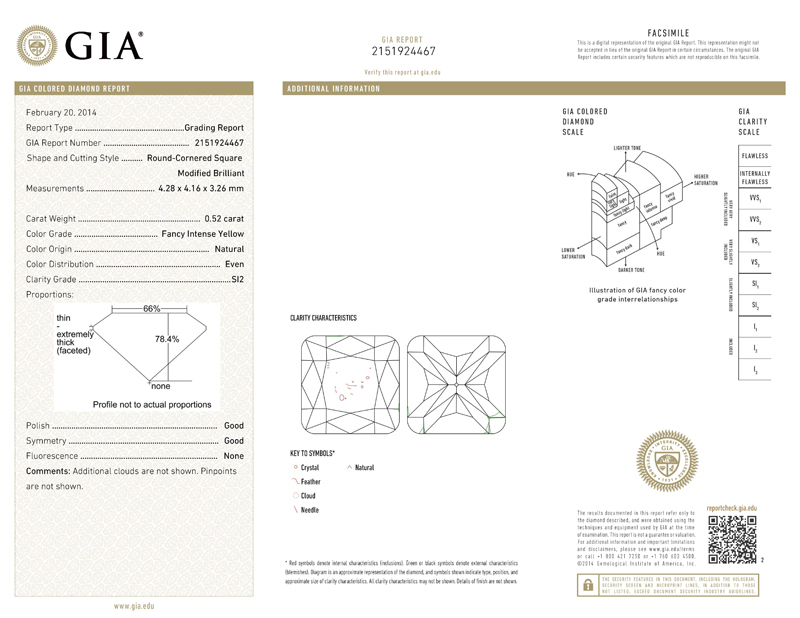 I'm not putting GIA in the wrong here- it's just the nature of grading something as subjective as color. There's borderline cases that can go one way or the other - this is one of those. 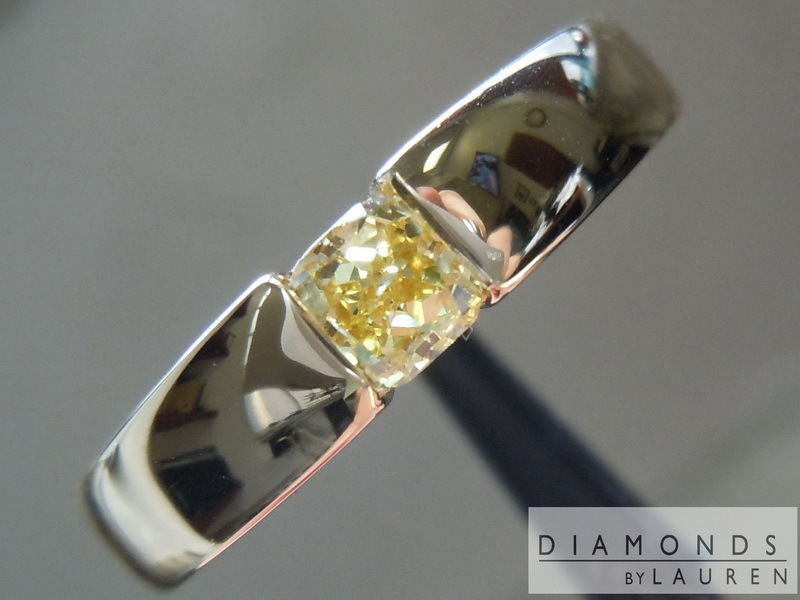 So it's being sold as a Fancy Intense Yellow/SI2 which eases the price a bit. Besides being an "almost vivid" as mentioned, it's also a heck of a great SI2 - totally eye clean. 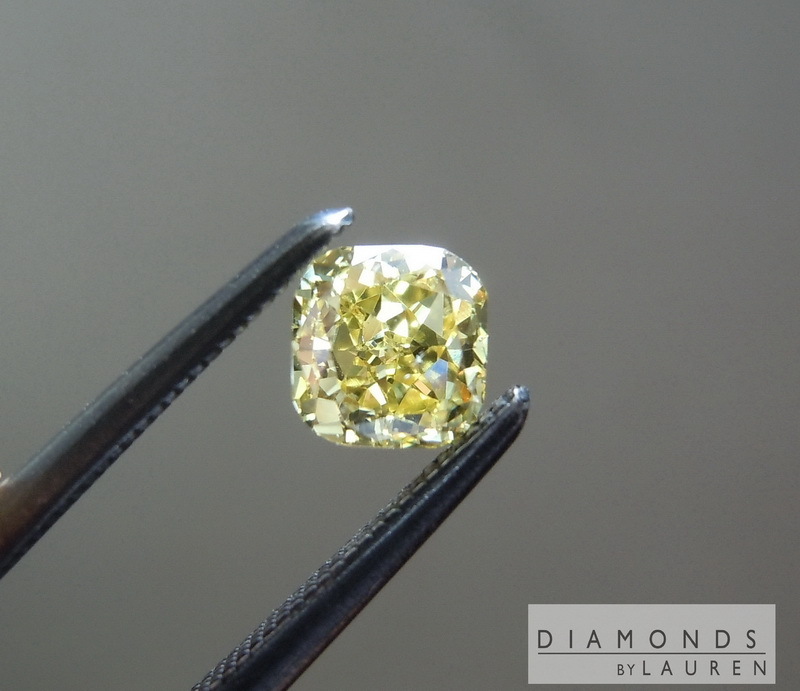 The diamond is slightly deep, so consequently it's not the largest 1/2ct diamond you'll see. 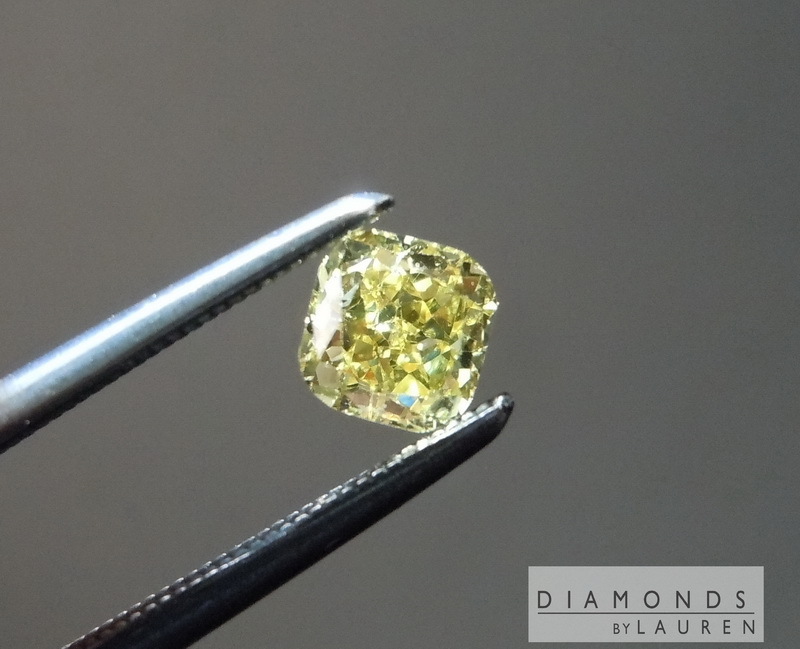 On the plus side, the stone has s generous crown, producing lots of larger bright flashes- which combine with the pungent color to give you amazing canary sparkle.